Heritage Research is a full-service historical and environmental consulting firm. We have three major "specialty areas" (see the links below), although it is important to understand that HRL and its staff are well experienced in all areas and components of historical and environmental research. Thus, should you have a project that focuses on environmental, natural resource or social history, or any other component of history or the environment, we urge you to contact us and find out what we can do for you. 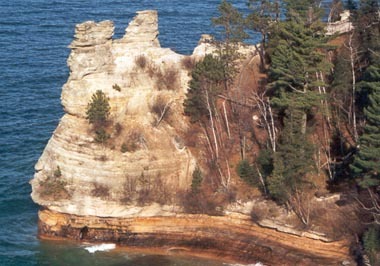 Image from a natural resource history of Pictured Rocks National Lakeshore.